This is a commission slot. You can hire Kirimae to create a personalized artwork of this sort here. The artist will most likely respond to a request within 2.1 days. This commission slot was rated positively by 16 clients thus far. PLEASE NOTE THIS IS PRICED FOR SUBSEQUENT EMOTES, IF YOU HAVE NOTE ORDERED WITH ME BEFORE PLEASE CHECK THE FIRST SLOT. Depending on communication, your emotes can be done very quickly, or they can take time. If we spend some time talking about what you are looking for I can get them done as quickly as within 48 hours. Emotes are bound by the Twitch ToS, and thus I won't do any "lewd" emotes. - 28x28 pixel version - 56x56 pixel version - 112x112 pixel version - A 400x400 version for use with merchandise. Amazing job. Was completed so fast! Highly recommended and will work with this artist again! Such a nice job, love it and totaly recomand it! she is the best anyone say different ill REEEE at them but really I wont go to anyone other than her she is wonderful! Kirimae was very patient with the back and forth between myself and the person whose character was being drawn. After many changes it turned out great! Great artist, communicating with them was super easy and there ideas we fantastic. Kept me updated through the whole processes. Highly recommend Kirimae for any twitch related work. Really happy with the results, thank you! Thanks for doing this kiri and being so patient with everything would recommend. Artist was quick to respond and the work done is exactly what I envisioned. Will definitely commission again! Excellent communication, really happy with the results, thank you! Great work. Done in a timely manner. Can't wait to have her do more very fast and just a all around good experience. love this artist great work ! really great artist i love my emotes so much !!!! 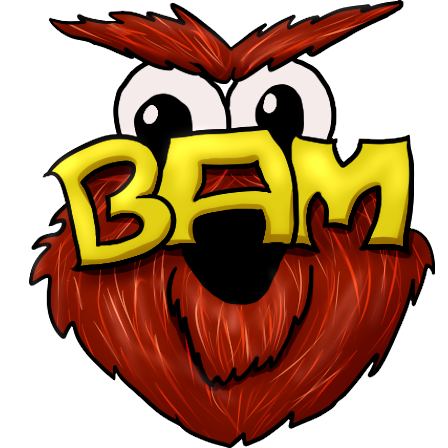 Everything went extremely well working with the artist was insanely fast and gave an idea for the next emote that I'm now getting as well! 10/10 would recommend to anyone looking to get emotes done! The work Kirimae completed for me was nothing short of amazing. Already in talks for commissioning my next Twitch emote as i'm so happy with my first! Very quick and responsive to messages and quick to deliver such quality! 10/10! Kiri did an amazing job! She’s very good with communication and quick changes. After you have submitted what you're looking for, I will then draw a sketch. If the sketch is to your liking, I will then do clean line art, and send you a watermarked version to assess. If this is still to your liking then I will colour it, and we follow the websites procedures from there. DO NOT edit, trace reproduce or/and resell my art without crediting me as the artist. You want it on a baseball tee? That's awesome. But You need to make sure you tell people where the art came from. THIS ART is for your personal use, but I may put the items up on my varying social media sites forpromoting my work. In the case of the cosplay designs, I will lock these until you're ready to debut your design, after which I will make them available to the general public. If you never debut it, then it remains locked for you and you alone. Cosplayers are generally awesome people and will respect the decision you have made - especially considering people who "steal" designs generally end up on a blacklist for that sort of thing. I STREAM MY ART ON TWITCH because this helps keep me accountable, and then people get to see what I do. If you wish your work to be kept secret, then this will incur an extra fee depending on the piece. Completion time varies on each product, and life sometimes gets in the way. In the event of an irrevocable hardware failure I will offer a complete refund and the option to hire my services again once the issues are resolved. ANY PARTICIPATION IN MY SERVICES WILL CONSTITUTE ACCEPTANCE OF THIS AGREEMENT. IF YOU DO NOT AGREE TO ABIDE BY THE ABOVE, PLEASE DO NOT HIRE MY SERVICES.